Working out of his hair surgery clinic in Los Angeles Redondo Beach, Dr U is the world leader in linear scar free, minimally invasive hair transplantation. 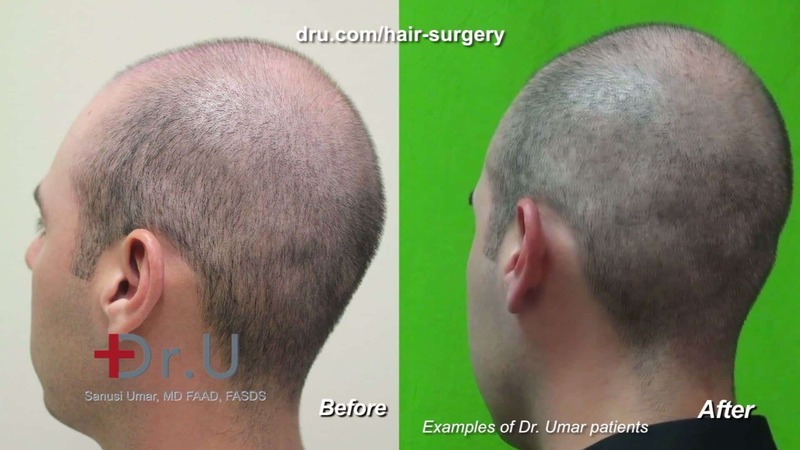 After experiencing a botched hair surgery himself, Dr U personally invented the UGraft system which is an advanced form of hair transplantation that overcomes many limitations of basic follicular unit extraction or FUE hair transplantation methods. Dr U’s Hair Surgery Clinic in Los Angeles Redondo Beach and Dr U’s works has been featured in major news media like New York Times, MSNBC, ABC, CBS and have been published in the several peer-reviewed medical journals such as JAMA Dermatology, Journal of the American Academy of Dermatology (JAAD), Plastic and Reconstructive Journal (PRS GLOBAL) to name a few. Are you experiencing premature hair loss and wish to restore your hairline, temples and natural growth and a youthful appearance? 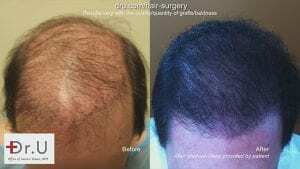 Do you have hair loss compounded by scarring and possible disfigurement from previous hair surgeries?